Choose the right preposition for each gap. The three texts are from the wikipedia. 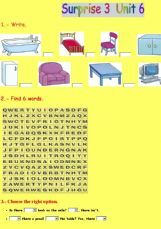 Exercises on different types of prepositions. 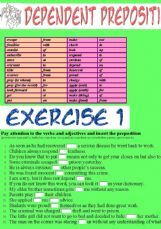 It�s a great exercise to review basic prepositions ! I hope you like it ! Students exercise wh-questions and prepositions. 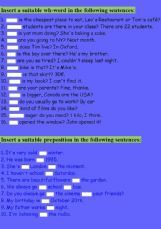 Prepositions have always been a difficult grammar topic for non-native speakers. Student often make their choice basing on how the phrase sounds to them rather than their knowledge. 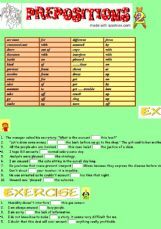 It�s useful to practice unit 6 of Surprise 3.